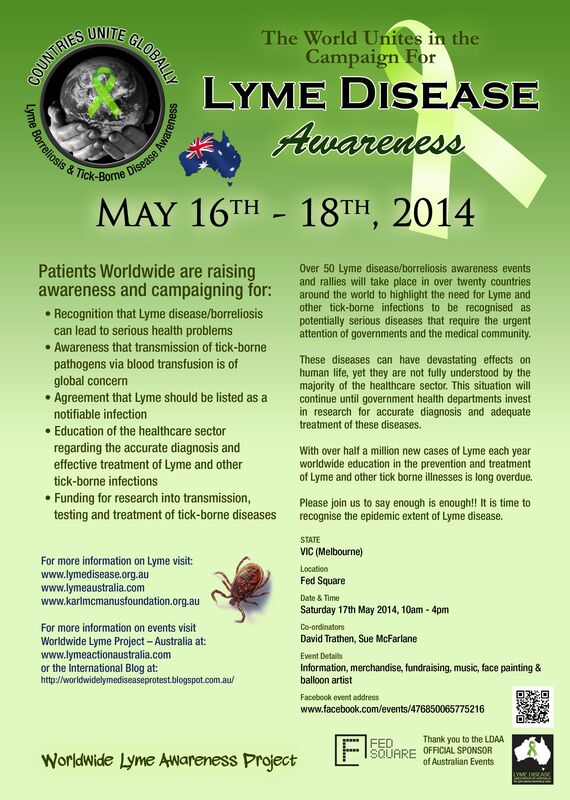 Awareness Event: Lyme folk unite to spread the word about Lyme disease in Australia. Awareness, donations, merchandise, face painting, balloon artist and other fun activities planned! Further Information: Huge Thanks to Federation Square who will light up green for Lyme Awareness again this year.